Karen Sue Barrett, 65 of Clarksburg passed away on Friday, September 7, 2018 at her residence. She was born March 5, 1952 Clarksburg, WV; the daughter of the late James B and Betty Lou Jarvis Floyd. Karen was a high school graduate of Victory High School. She enjoyed cooking, flowers, and was an active member at her church where she also enjoyed singing. Karen is survived by her husband of 46 years, Luther M Barrett; six children, Elisha Cutright and husband Jeff of Northview, Heather Bender and husband Andrew of Hacker Valley, WV, Luther Barrett Jr of Northview, Nathan Barrett and wife Amy of Spencer, WV, Christopher Barrett and wife Erin of Morgantown, and Joel Barrett of Nutter Fort; ten grandchildren; two great grandchildren; siblings, Cheryl Floyd, Scott Floyd, Bobby Floyd and wife Jerida, Jamie Floyd all of Clarksburg; and several nieces and nephews. In addition to her parents, she was preceded in death by one brother, Michael Floyd. Family will receive friends at Davis Funeral Home, 124 Olen Thomas Dr., Clarksburg, on Thursday, September 20, 2018 from 2-8pm; Funeral Service will be held in the Chapel of Davis Funeral Home on Friday, September 21, 2018 at 11:00 am with Pastor John Elbert presiding. Interment will follow at the West Virginia National Cemetery. Online condolences may be sent to DavisFuneralHomeWV.com. 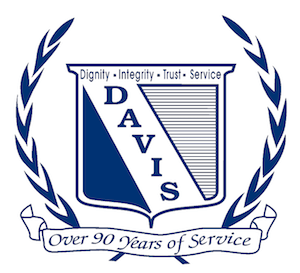 Davis Funeral Home is honored to assist the Barrett family.